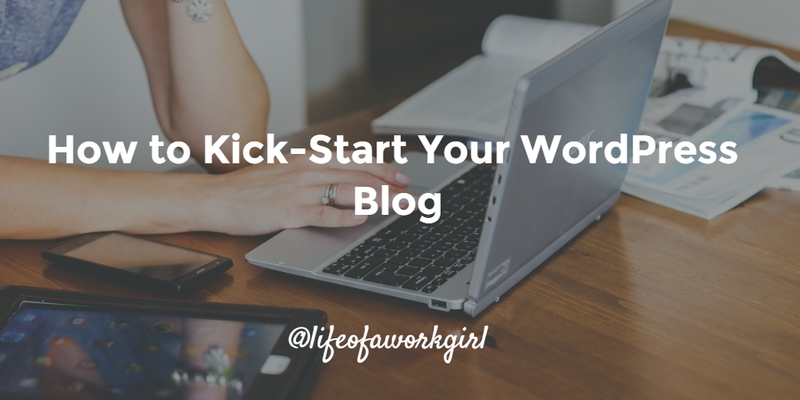 So, you’ve decided to start blogging, which is amazing! When I started writing, I really WISH that there had been some kind of ‘how-to’ guide. The writing isn’t always the difficult part – sometimes it’s the thought of managing your very own website. WordPress really is manageable when you get to grips with it. As well as blogging, you may plan on being active in other places scattered across the internet. So, you want to make it as easy for people to find you as possible. So, once you’ve decided if you’ll be using Twitter, Facebook, Pinterest or any other site, you need to see what is actually available. There are a handful of websites that can do the work for you so that you’re not signing into each network one at a time. I recommend using KnowEm – this is a pretty extensive social domain search engine that will tell you what is and isn’t up for grabs in seconds. Presentation is everything. Your theme will say a lot about the type of website or blog that the reader is about to engage with. Make sure that you choose something that makes the right statement! If you’re not too sure where to start, go to the WordPress themes page and click ‘find a theme’. in the drop-down menu you’ll see a lot of search options from type to colour, features and layout. This really allows you to narrow down the search and find exactly what you’re looking for. With over 300 themes to choose from, the last thing you want to do is spend hours deciding which one suits you. This search will make the decision a quick and easy one! Now that the blog is starting to look the part, let’s make sure that your profile is too. This is important regardless of whether you’ll be blogging solo or as a part of a team. Whenever someone clicks on your profile they’ll be able to get a little insight into the person that has written the piece. In the WordPress Admin set-up, you’ll see a section for users. Go there and select your profile. Here you’ll have a chance to include links to all of your social network profiles, upload a photo and write a short biography. This is also linked up to Gravatar, which is an author biography associated with the email address that it’s registered under. Gravatar is a neat little app to use if you plan on guest blogging one day as there are plenty of businesses that will just ask for your Gravatar to complete your biography. You’ll probably have more pages than just the blog alone. If you do have an ‘About me/us’ page, consider it an extended version of your Gravatar biography. This is a chance to tell people who you are, what you stand for and, most importantly, why they should make time for your blog. Think it through. Take a look at some of the people or brands who inspire you and create a draft before you just hit the publish button on this page. Be vigilant and look out for any grammatical errors – the last thing you want is for a careless mistake to make you look unprofessional. If you want to add some pages to your menu there’s a step by step guide here. Remember that you can also use categories or tags as the foundation of your page so that certain content is easier to find. Widgets are just buckets of content from other sources that you can add to your site. For example, you could have a Twitter Widget, Follow this blog button and search bar. Whilst they are useful, widgets shouldn’t be used to over-crowd your page and fill it with clutter. They’re great for showing how active you are on social media and can help you to build a greater following. Where they are placed all comes down to the theme template that you’ve chosen. Some themes will have side bars, others will have footers with anywhere from two to three columns for widgets. They’re a great way to encourage people to navigate around your site. Try adding top posts and pages or category clouds so that people can find the content that they’re looking for. It’s easy to work your way through the library as you can create searches based on the type of content (image/video/podcast) or the month that it was added. The easiest way to avoid a huge amount of a headache is to name every file. Make it as simple or specific as you like, but ensure that it’s searchable. It will be much quicker to find writer.jpg than 0229273782.jpg. Give yourself less work to do at a later stage by filling in the gaps now! Consider these as the arrow that points people to your posts. Categories are used to group related posts together. This makes it easier to find content that relates to a particular topic or theme and can give you a great sense of direction. Tags are slightly different because they’re optional and tend to be more specific than categories. Both categories and tags ban be displayed at the bottom of each post (depending on the theme that you have activated). They’re the way to make sure that your content is being seen by the right people. Whenever someone comments on your blog, you have an opportunity to read it before it becomes public. WordPress already uses Akismet to filter through spam, there’s the odd one or two that you may have to catch. Use this as a chance to talk to your community; reply to their comments, start building a relationship with them and keep the conversation going. Pingbacks are slightly different. Whenever someone links to one of your pages or posts you’ll be alerted and asked to verify that it originated from their post. Sound a little complicated? WordPress has a neat explanation of Pingbacks here. OK! You’ve set everything up and should be able to make your way around the WordPress dashboard! Now to write your very first post. At this point, just go for it. All of the complicated stuff has been handled and now you can begin to focus on the most important part – writing. Do you have any WordPress hacks that you’d like to share? Mention them in the comments section so that we can continue the conversation. Happy writing!